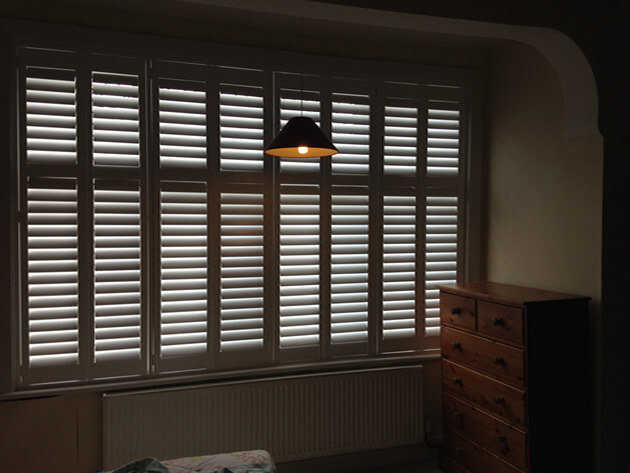 Shaun and Kirk were at a home in Norbury, South West London to fit some of our made to measure plantation shutters to three different areas including a bay window in the living room. 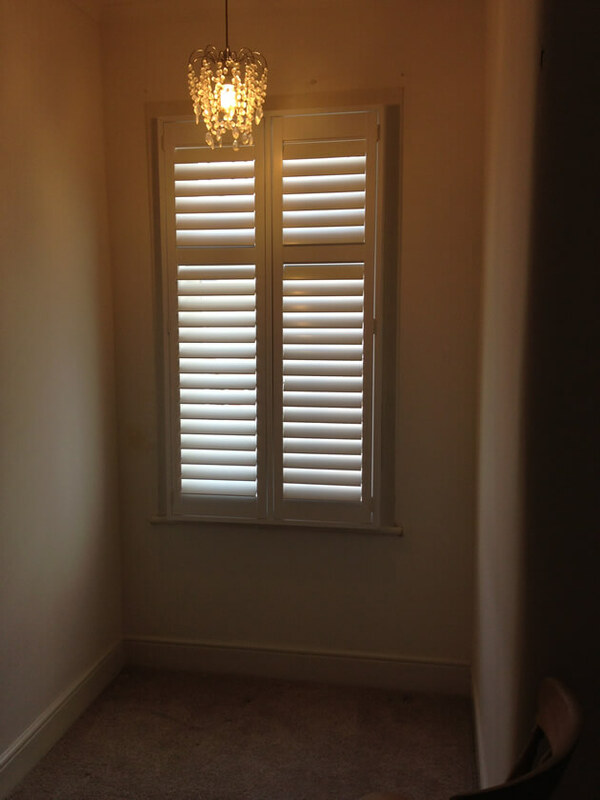 The customer was looking for privacy, easy adjustment of light and to simply add a more stylish window dressing to the windows in the property. 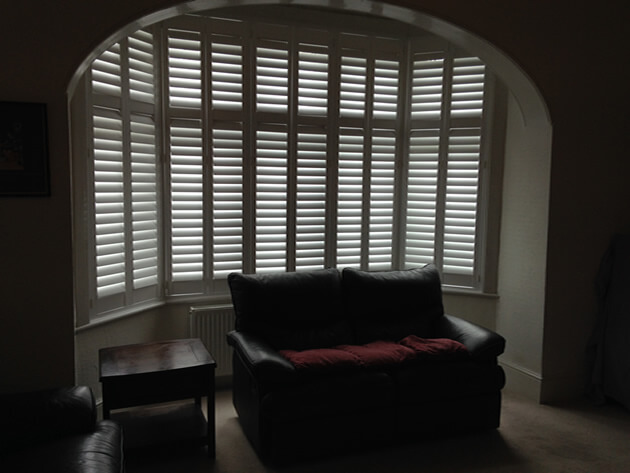 We created all the shutters using wood from our Cuba Range which is environmentally friendly, rigid and also lightweight. 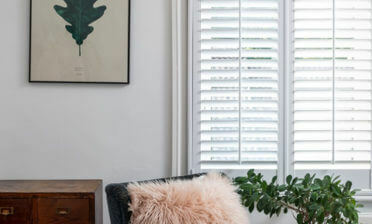 They are all a full height style fitted with a mid-rail towards the top which not only allows for more adjustment control, but helps to strengthen longer runs of shutters. 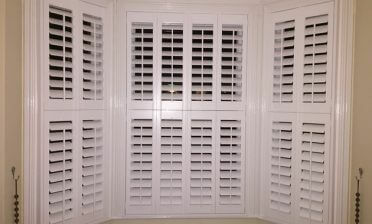 With the mid rail placed in this position the customer can keep privacy below while still allowing maximum light to enter through the top section. 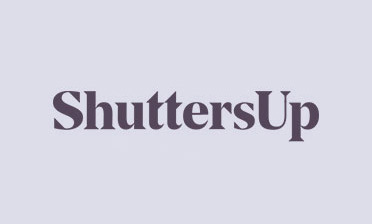 The shutters louvres are 76mm featuring a silent tilt rod system which allows for adjustment without the need of visible rods which looks fantastic on large runs of shutters. They were finished in Pure white with matching coloured hinges!